Khursheed Rizvi was born on May 19, 1942 in Amroha, India. He migrated as a child to Montgomery (now Sahiwal) in Punjab, Pakistan. He graduated from Government College, Montgomery in 1959. 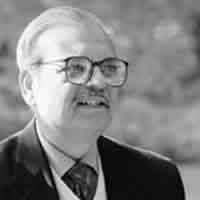 He moved to the University Oriental College Lahore for higher studies and did his MA in Arabic in 1961, winning a gold medal. Later, he got his Ph.D. in Arabic from the University of the Punjab in 1981. Dr. Rizvi possesses equal dexterity in Arabic, Persian, Urdu and English and is well-versed in Punjabi. In recognition of his literary services, Dr. Rizvi was decorated with one of the highest civilian awards; Sitara-e-Imtiaz by the government of Pakistan in 2008. He was also given Ahmad Nadeem Qasmi award in 2001. Dr. Khurshid Rizvi has authored and edited books in many languages on a range of subjects. He has also done substantial translation works.